Quinn Martin was a rare commodity last season in the Western Hockey League (WHL) – a New Mexico native playing Major Junior hockey. This season, the 19-year-old Santa Fe native is again the lone player from New Mexico, now playing in the Western States Hockey League (WSHL) for the Idaho IceCats. 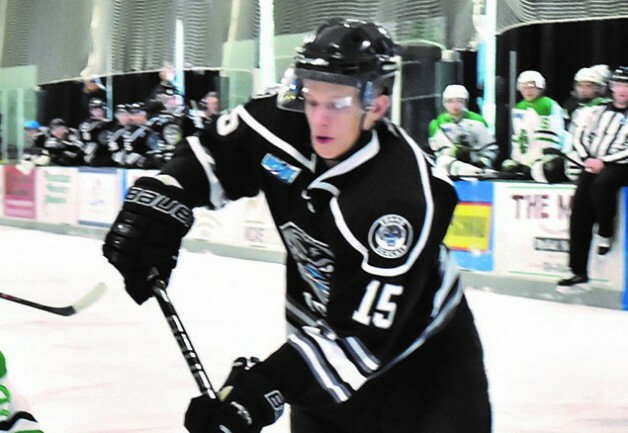 The IceCats have long been a top-tier franchise in the WSHL and Martin is reaping the benefits playing in McCall, Idaho. As of early March, the IceCats had run away with the Northeast Division title and finished the season 44-4-3. This weekend, the IceCats will play the Lake Tahoe Icemen for the Northwest Division championship and a berth to the WSHL finals. Martin compiled 18 goals and 42 points in 44 games during the regular season. Martin played 20 games for the WHL’s Red Deer Rebels in 2016-17 before finishing the season with the NAHL’s Austin Bruins. Martin has played hockey since he was five after his father, Ray, asked him if he wanted to give it a shot. And so it began in the Land of Enchantment.